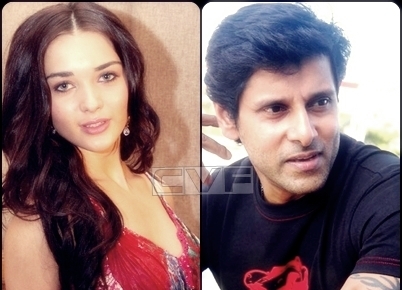 Home » Latest Buzz » Amy Jackson to play an action girl in Thaandavam? Amy Jackson to play an action girl in Thaandavam? It is no longer news that the 'Madrasapattinam' girl Amy Jackson will play second female lead in her mentor AL Vijay's forthcoming, 'Thaandavam'. Grapevine now has it that Amy will introduce her action avatar to audience through this film and perform some stunts! The actress was quoted while speaking to a media house, "It's a complete different venture and I will get to show off my action skills in this movie. Vijay gave me my first break and it's so good to work with him again". 'Thaandavam' is reportedly a bilingual to be canned simultaneously in Tamil and Telugu and Amy will start shooting her portions come March. Anushka will be seen as Vikram's lady love and Jagapathi Babu will be seen as an antagonist in this action packed thriller.